This is the 2nd part of a 3 part series on Canning Safety by Ott, A from A Latte with Ott, A.
Canning requires heating a sealed jar at the correct temperature and held there for a set amount of time to drive air from the jar, creating a vacuum and ensuring the destruction of microorganisms. During the canning process it is critical to follow approved recipes exactly to ensure your finished product is sealed properly. Adding too much of one ingredient or not heating for the proper time length can cause your jars not to seal. Here are some tips and rules to follow when processing your jars to ensure a successful finished product. Barometric pressure affects the temperature at which water boils. The higher the altitude the longer the boiling/processing time will take. 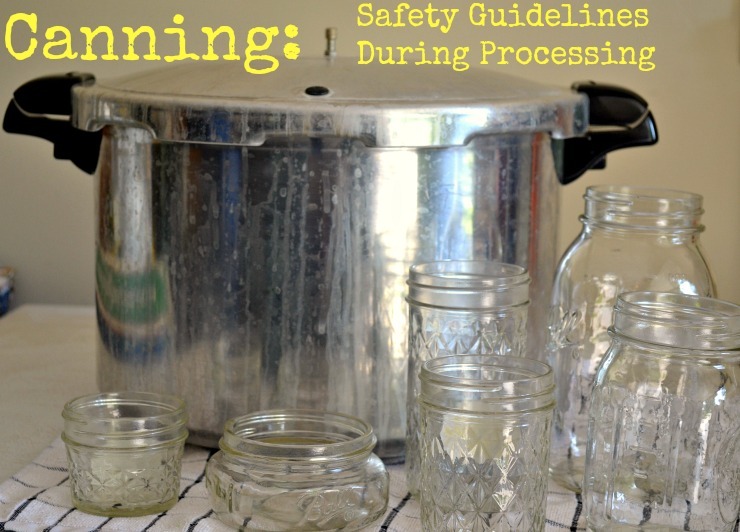 A helpful chart with the adjusted rates for both pressure canning and boiling water can be found here. The amount of acid in a food determines the type of heat processing method used to can the item. 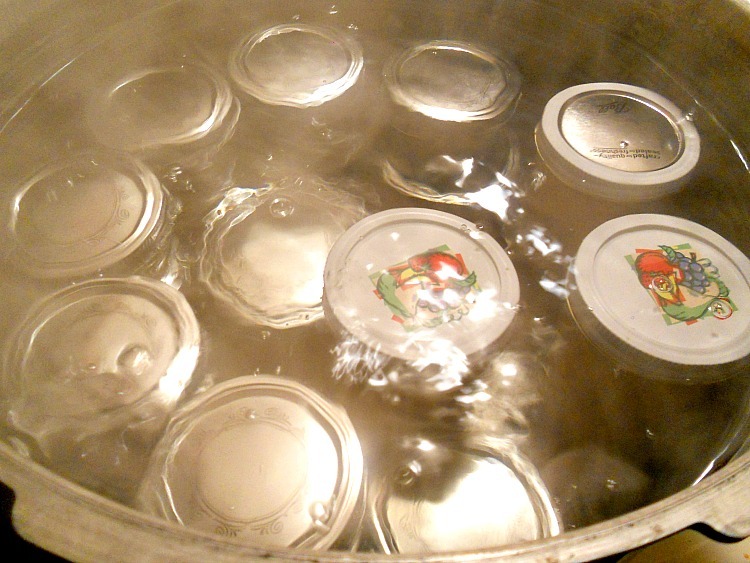 Foods considered high in acid (such as fruits jams, jellies, pickles, relishes and tomatoes) can be done using the boiling water canning method. Foods considered low in acid (vegetables, soups and meats) must be processed in a pressure canner. Most kitchens have large pots that can double as a boiling water canners, but you need to make sure that your pot has a lid and rack and is large enough to hold water and is 3 inches deeper than the top of the jars. Pressure canners are a special piece of equipment that are heavy gauge stainless steel with a locking lid with a vent pipe and gauge. There are two methods for filling your jars and your recipe should designate between Hot Pack and Raw Pack. The Raw Pack method is generally used for delicate foods and is placed into the jars raw and then a syrup or brine is added on top. The Hot Pack method is used when the food is precooked in the syrup or brine and then placed in the jar. Air bubbles can cause an awkward empty space to product ratio. Simply slide a non-metal spatula between the food and the side of the jar to release air pockets. To prevent your jars from cracking and breaking heat your jars for 10 minutes before filling. (A dishwasher, slow cooker or simply placing the jars in hot water can help accomplish this, just keep the jars around 180 degrees F.) When filling your jars be sure to measure your headspace and follow the recipes suggestion. After filling clean the rim of your jars was a clean cloth and then adjust the lids and bands to fingertip tightness.